Unique Kidz and Co Charity Ball 2019! Watch this space for more information coming soon about our upcoming Charity Ball! Are you keen to reserve your tickets now for our Charity Ball? Call Jordan on 07733 102202 and add your name to the ticket waiting list today! 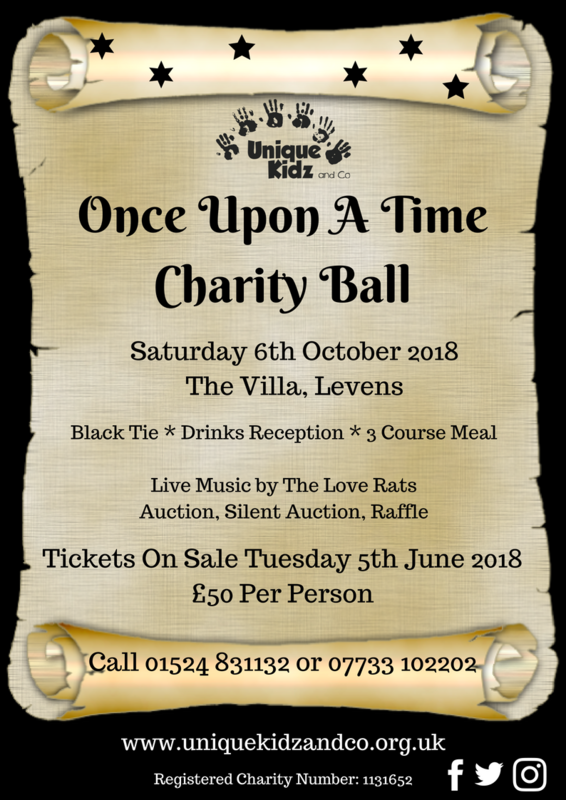 In 2018, our Once Upon A Time Ball took place at The Villa, Levens on Saturday 6th October 2018. Poppins Parties and Events styled the event last year and guests stepped into a world of fairy tale and fantasy! We need support from the local community for our events. Can you help by sponsoring the event? Can you donate a prize for our auction or raffle? If you are a company looking to support Unique Kidz and Co please head to our Corporate Fundraising page.